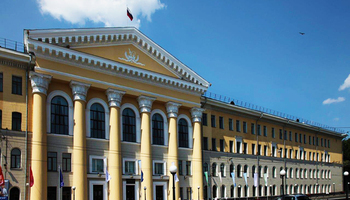 TUSUR University has long been a leader among Russian universities by the share of international students – according to the QS EECA University Rankings, it ranks second in the category of internationalization, behind only the People’s Friendship University of Russia. 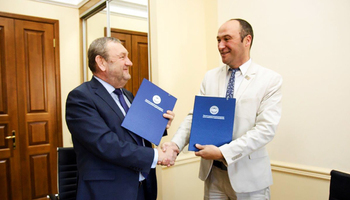 And while the majority of international students at TUSUR University traditionally come from the CIS countries, it steadily increases its integration with the wider international academic community by enrolling more students from outside of the CIS. This year, TUSUR University welcomed three new students from Epitech, France, that has been our academic partner since 2012. In December, they were joined by two interns from SRM University, India. First students of the Chennai-based SRM University came to TUSUR University for internships in 2013, and it has become the basis for a fruitful and inspiring partnership. “Me neither!”, says Geoffroy Sadowski from Epitech. 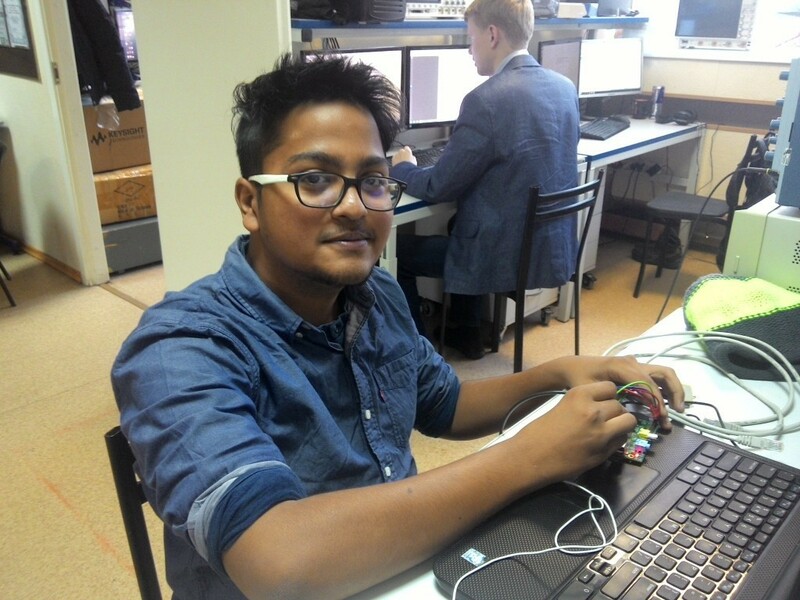 “TUSUR specializes in control systems and videoelectronics, and that is what we do in our projects, so an internship in Tomsk was a good option”, Anmol adds. “Our professors were supportive, but they were worried about the different climate. When other students from our University were here last year, it was -20 outside. My family is proud of my choice to take this challenge”. “The weather wasn’t an important factor for me”, says his classmate Sharath Srinivasan. “What’s important is that I knew it would give me the knowledge I need for my future. My professors and my family were very supportive of my choice”. Geoffroy says that he initially was considering an internship in Germany, but ended up choosing TUSUR University after recommendations from his peers. Moreover, his parents are interested in the Russian culture, and his father has a dream of traveling along the entire Trans-Siberian Railway. Geoffroy himself had studied Russian before, and this internship was a good opportunity for him to improve his skills. 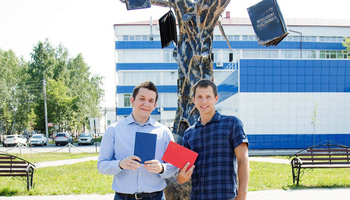 At TUSUR University he is developing his signature recognition project – the finished system will be able to tell whether or not the signature belongs to the same person. Anmol says that the amount of knowledge he acquired during his internship was even somewhat overwhelming. His project focuses on collection of vehicle sensor data, such as fuel level, or speed, which all have to be displayed on one screen. 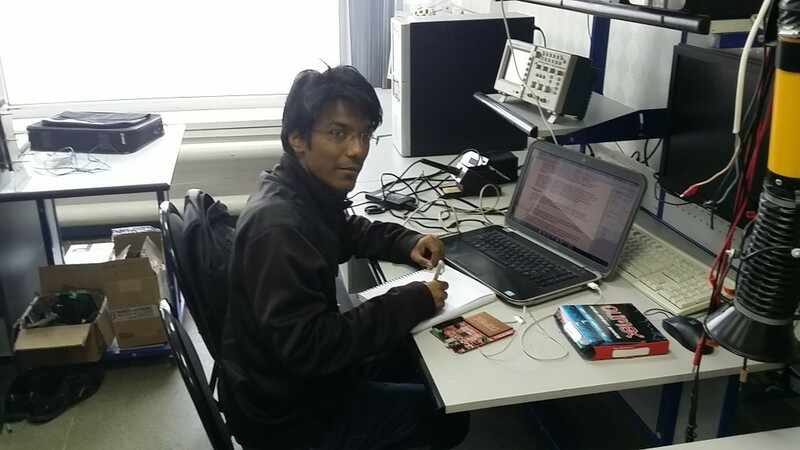 Sharath is studying drones, and his interests include cartography, navigation systems and GPS navigation. 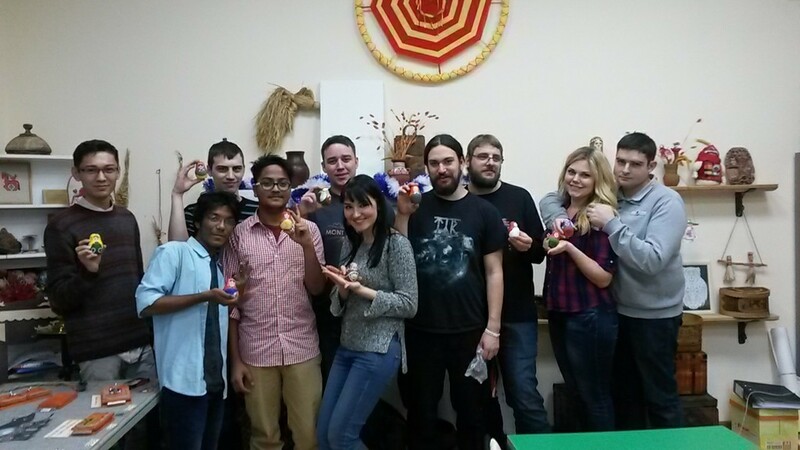 During their stay in Tomsk, the students have already got to try the Russian cuisine, and learned about some of the traditional Russian crafts – they attended a matryoshka paining mater-class at the First Slavonic Mythology Museum. Their plans till the end of their internship at TUSUR University include trying their hand at skiing and snowboarding, and other kinds of fun that the Siberian winter offers. They will also have a chance to see the Russian New Year. 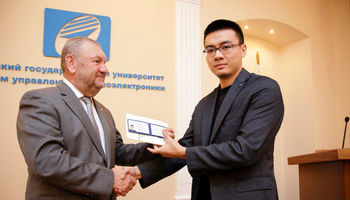 One of the means of integration and adaptation of international students is the Russian language courses taught at the TUSUR Center of Training for International Students. Like any international academic internship, this experience is highly valuable not only in terms of engineering knowledge and idea exchange, but also as a first step in the international careers of future star engineers.